India's leading car manufacture, Maruti Suzuki is planning to introduce its other small car 'Maruti Cervo' in India by the end of 2010. The Cervo has already been hit in the Japanese market and the company has achieved a hug success by its small cars. Maruti Cervo comes as a modified of already most selling cars, that is Maruti Alto and Maruti Wagon R. Maruti Suzuki represents the entry-level segment, which faces tough competition from world cheapest car 'Tata Nano'. The company hasn't yet officially announced regarding that the price tag and features. As per other website reports, it is supposed the price would be around between Rs. 1.5 to Rs. 2 lakh. 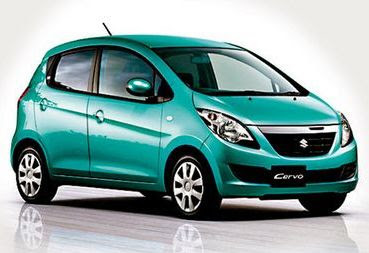 Maruti hopes that after the launch of Maruti Cervo, will attract the new generation as a sports and stylish look car. The car has been equipped with an 1litre, 660cc engine capacity, which is able to create maximum power of 54bhp. Maruti Cervo's exterior view look like a Honda Fit. 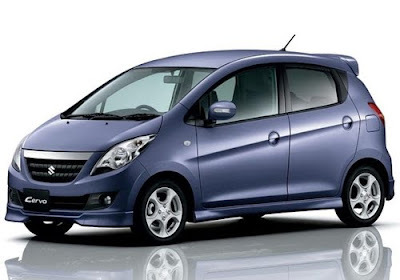 The superb sleek look, interior view also resembles to the Maruti Swift or Maruti SX4. Exclusive design has given to both interior and exterior features. The car is also prepared with 4-speed auto gearbox a K6A DOHC engine with VVT, front semi-bucket seats and media feature as a Bluetooth connectivity. According to the statement, which has suppose by the auto exports that Maruti Cervo will become a most selling and fastest car in the Indian Auto Market, when it launches. Apart from that launch, Indian cars lover will see more launches in India that includes Volkswagen Vento, Skoda Yeti, Tata Aria and Nissan Micra etc.